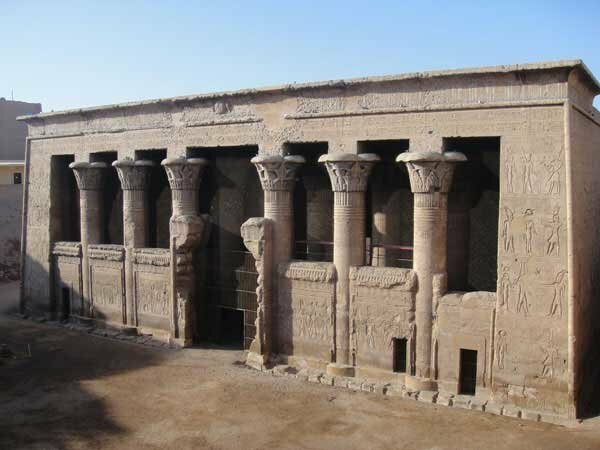 Egypt and Art > Tour Map of Egypt > Tour Esna Directory > Approaching the Temple of Esna. the Nile flood and creation. Heka a god who’s name means “magic” and Neith are two other gods associated with this temple.